Peter’s early career in Northern Ireland led him to realise that his interests lay in the fields of personal injury and clinical negligence – a varied caseload included a claim for a young child who suffered brain and spinal injuries as a result of a road traffic accident, a claim for a yachtsman who suffered a brain injury while taking part in a yacht race, and a host of cases for a number of individuals who had been the victims of proscribed terrorist organisations. He moved to the mainland UK and has worked in this area of law for the last 20 years. 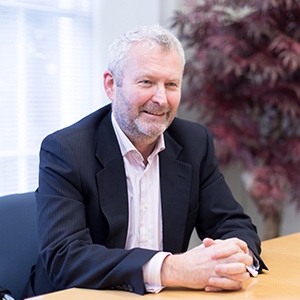 Peter specialises in claims involving brain and spinal injury, fatal accident claims and claims involving children. He has a particular interest in cases involving subtle brain injury and chronic pain and in recent years has looked after a number of cases through to trial. His work has included a number of cases for children who sustained catastrophic injuries resulting in multi-million pound settlements. These cases involve a multitude of medical and non-medical experts and highly specialised accident reconstruction evidence. When conducting claims involving catastrophic injury, the establishment of the right team – the most suitable barristers and experts for the particular claimant and case – is crucial, and Peter relishes the chance to work with professionals who lead their field. The most rewarding part of his work is to secure a settlement which will make a real difference to the claimant and their family, particularly in a case involving a severe injury. Ensuring that the claimant has all the elements of care and support that they will need is central to this process – establishing care, case management, occupational therapy, alternative accommodation and aids and equipment will secure the best possible quality of life for them. Peter has been a member of the Association of Personal Injury Lawyers (APIL) for 15 years and is accredited as a Senior Litigator. Away from work and whilst not being employed as a full-time taxi driver for his two young daughters, Peter enjoys cooking (not bad), travelling (not enough), playing golf (very average) and watching all types of sport. Good Morning Peter. Many thanks again for all you have done for Sarah, we could not have had a more committed lawyer. Peter, thank you for all you have done. Thank you and your team very much for all you have done. I cannot fault your service and I am very grateful to you all. I would like to thank you and the office of Mr. Peter Savage for your patience and hard work regarding my accident claim. I can’t thank you enough. Our son was the victim of a road traffic accident. He received life-threatening injuries and has a permanent brain injury. Our solicitor, Peter Savage, handled the case in a professional and friendly manner. He kept us informed and answered our questions. He is an extremely experienced solicitor and is very knowledgeable. He managed to get a fantastic settlement for our son. We cannot thank Peter Savage and the whole legal team enough for what they did for our son and the family. As part of the settlement, he now has his own house. By having suitable housing for his needs, it will give him a more independent life. As a family we have the peace of mind knowing that he has no financial worries for his future. The settlement also takes the pressure off the family knowing that his present and future care needs will be met. The staff are friendly, professional and supportive and without their hours of hard work our son would be looking at a different life. We will always be grateful.